Benvenuto Cellini was a celebrated Renaissance sculptor and goldsmith - a passionate craftsman who was admired and resented by the most powerful political and artistic personalities in sixteenth-century Florence, Rome and Paris. He was also a murderer and a braggart, a shameless adventurer who at different times experienced both papal persecution and imprisonment, and the adulation of the royal court. Inn-keepers and prostitutes, kings and cardinals, artists and soldiers rub shoulders in the pages of his notorious autobiography: a vivid portrait of the manners and morals of both the rulers of the day and of their subjects. Written with supreme powers of invective and an irrepressible sense of humour, this is an unrivalled glimpse into the palaces and prisons of the Italy of Michelangelo and the Medici. 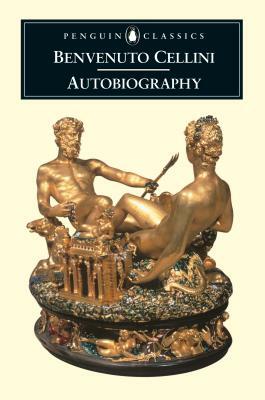 Benvenuto Cellini (1500-1571) was a celebrated goldsmith and distinguished sculptor whose powerful talent can still be seen in such works as his bronze statue of Perseus and his gold salt cellar made for Francis 1. He worked for a variety of patrons, including Popes Clement VII and Paul III. George Bull is an author and journalist who has translated 6 volumes for Penguin Classics, including The Book of the Courtier by Castiglione, Vasari's Lives of the Artists and The Prince by Machiavelli.